Our inventory of vacation rentals are situated for those looking to ski Summit Powder Mountain, Snowbasin Resort, Nordic Valley and Whisper Ridge Cat Skiing. Currently, we do not offer accommodations within a close proximity to the other resorts listed here. *Snow report totals are not up to date and do not reflect actual accumulation. 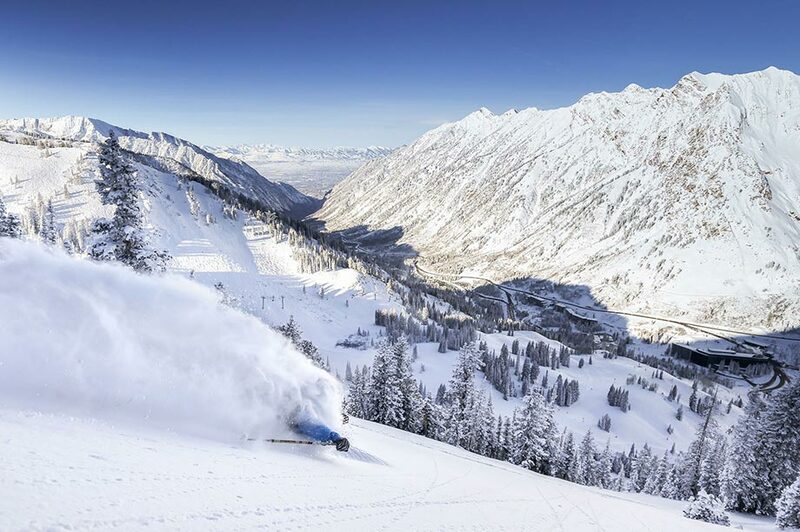 Snowbasin Resort is one of the most professionally run ski resorts in the world and is known by locals as ‘the best kept ski secret in the USA’. A skier’s paradise, this powder magnet combined with the quality of staff and services is second to none. There’s no on-mountain lodging accommodations leaving the world-class terrain virtually untouched.. Although Snowbasin is one of the oldest ski resorts in the country, there’s very little that resembles it’s historic past. Even the iconic Wildcat Lift has been replaced with a new, comfortable upgrade. The entire docket of lifts at the resort includes a tram to the ridge overlooking Ogden, two gondolas, and an express quad. 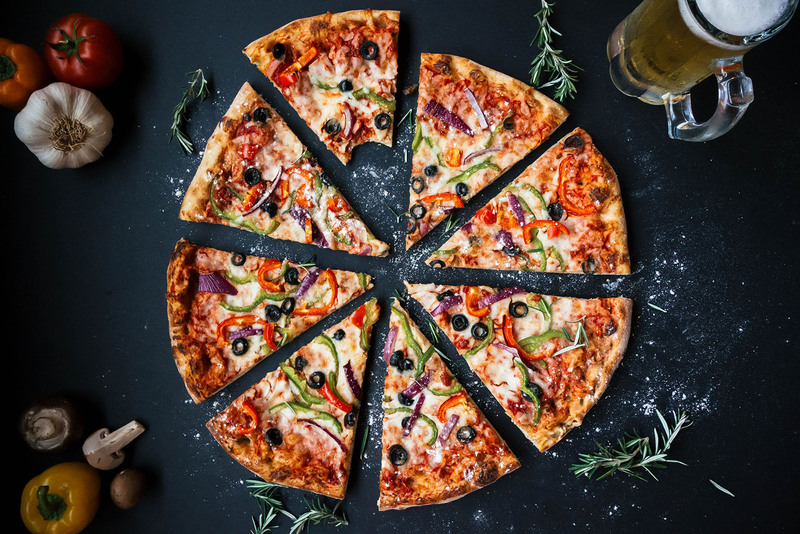 The extravagant day lodges, shuttles from the parking lot, gourmet spread served daily, and the professional staff provide a luxury ski experience. The resort uses state of the art snowmaking techniques but with an average of 400 inches of snow per year, Mother Nature does most of the heavy lifting. 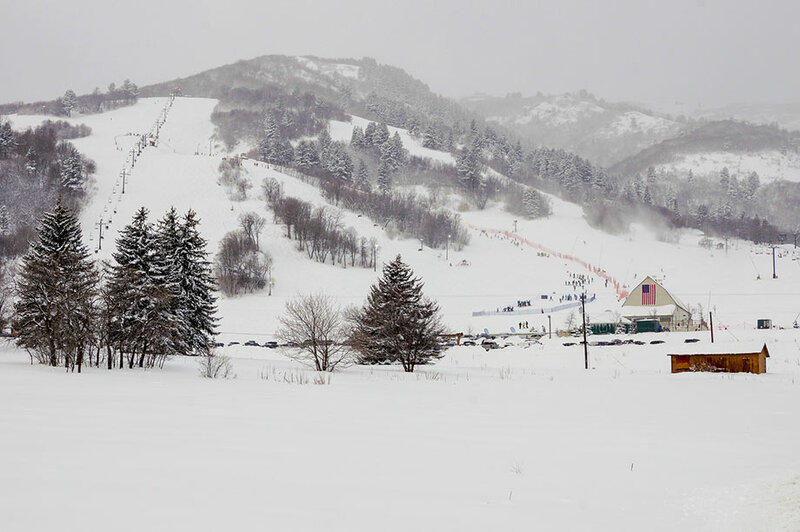 Snowbasin was home to the 2002 Olympic men’s and women’s downhill courses. 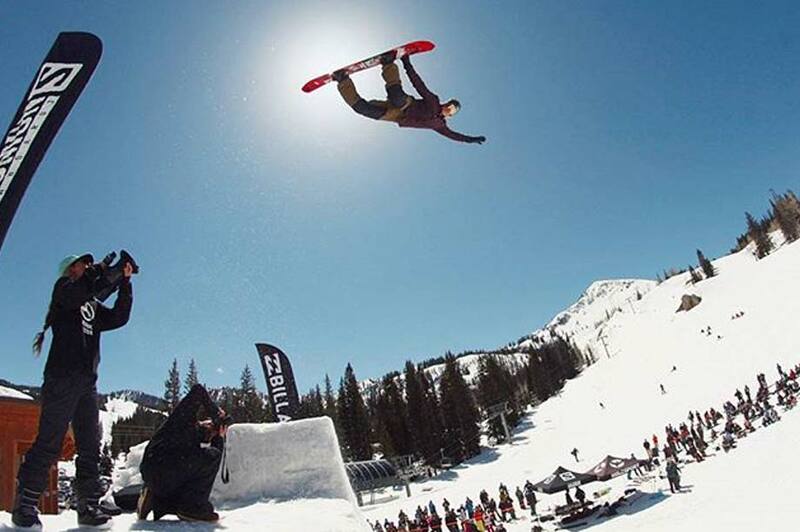 The resort also hosted the 2011 and 2012 Dew Tour. A recent readers resort survey ranked Snowbasin #1 for lifts, #2 for on-mountain food, and #3 for service. 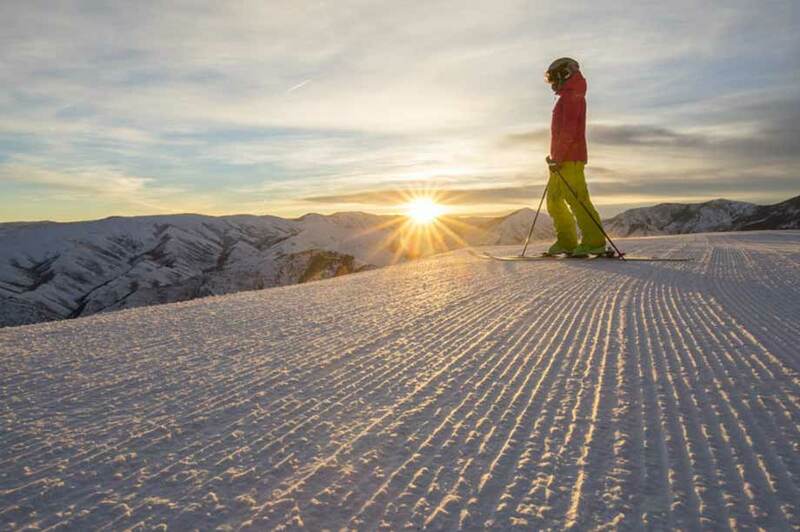 Snowbasin boasts 2,959 vertical feet of ski trails with 104 runs; 7 percent novice terrain, 29 percent intermediate, 34 percent expert, and 30 percent expert only. They also offer three terrain parks and a tubing hill to offer a more complete experience. With the onsite snowsports learning center and equipment rental shop, guests at Snowbasin receive exceptional service. 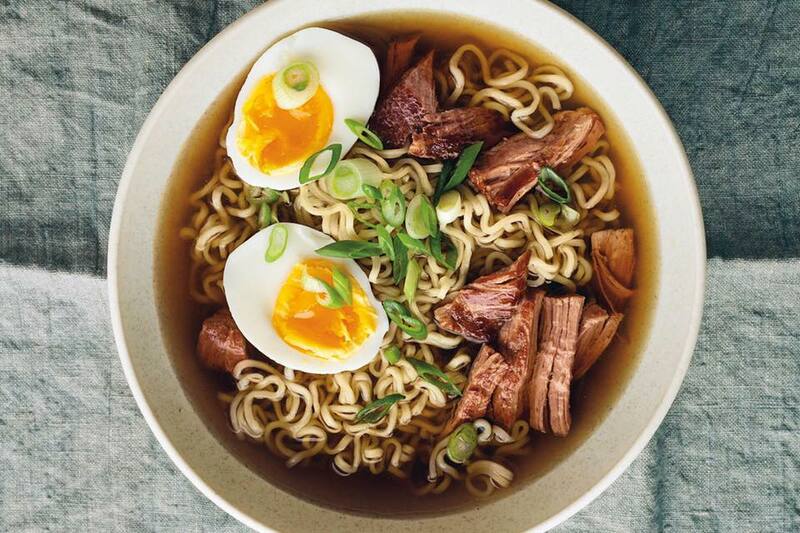 Summer activities at Snowbasin include full moon gondola rides, miles of mountain biking, mountain tours, discovery dining food pairings, Sunday brunch, and the Blues Brews & BBQ Sunday Concert Series. It’s also the site of the XTERRA Pan Am National Championships each year. Powder Mountain, more affectionately known as “Pow Mow,” was recently rated as the #1 Value in North America by Ski Magazine readers. This largely undiscovered resort features all natural snow and none of that man-made stuff. 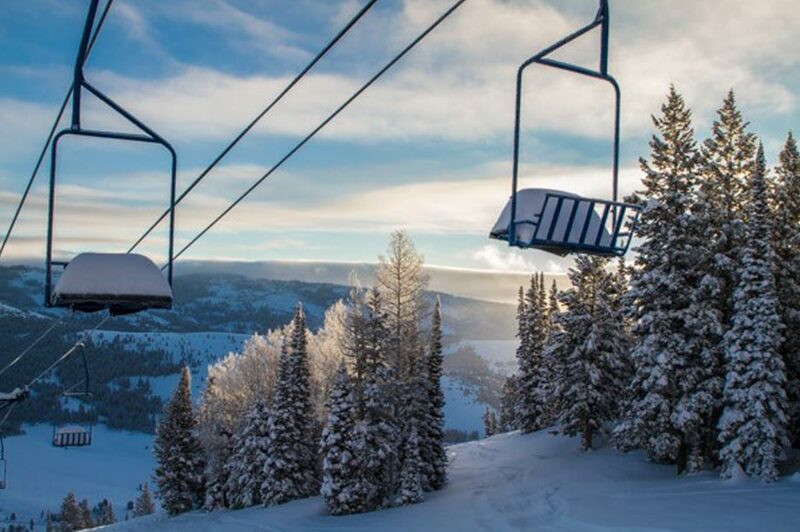 Powder Mountain recently added two new lifts bringing it’s total skiable acres to 8,464 on 167 runs. The resort offers some amazing amenities that would cost you a small fortune at other ski areas. 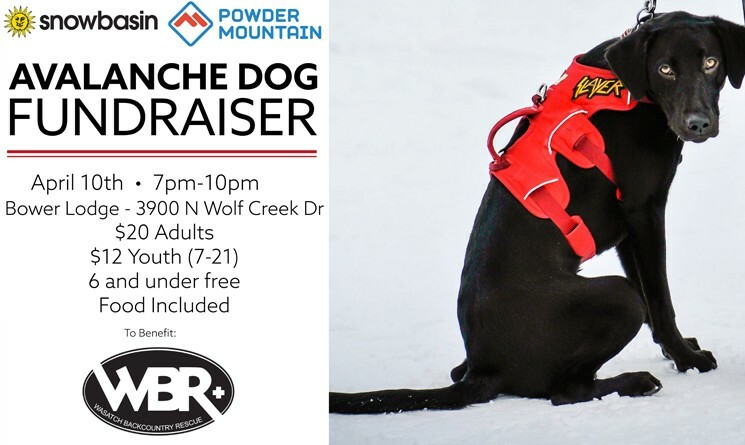 First, for a nominal fee of around $20 a person, their snow cat skiing service provides access to the top of Lightning Ridge which provides over 700 challenging acres of pristine skiing with an impressive 2,100’ vertical drop. This service requires a prior reservation but is well worth the extra effort. The second is Powder Country, offering about 1200 acres of untouched goodness. And it’s all considered ‘in-bounds.’ This section has all the thrill of backcountry skiing without the hiking or navigating since it all leads to one place where a team of buses haul you back to the base. 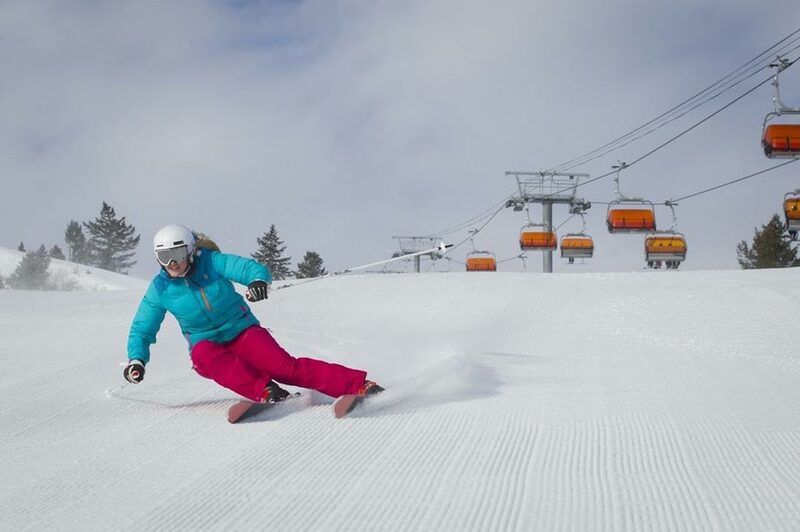 The resort also offers 2 terrain parks, a snow sports school, and both day and night skiing. Summertime offerings at Powder Mountain include miles of mountain biking, the El Doce at Pow Mow mountain bike race, and the Music in the Mountains concert weekend. Established in 1968, the family oriented Nordic Valley Ski Resort is one of the most accessible and budget friendly ski areas in the country. Nordic’s 500 acre boutique ski hill contains 3 lifts and is open for night skiing. They are well known for their respected ski school, which is responsible for teaching thousands of kids to ski and snowboard. Adults, children and families alike will enjoy Nordic’s down-home vibe, fun terrain, and welcoming atmosphere. Nordic Valley features an expansive terrain park and a fat bike race series. When the snow melts and the temperatures rise, it’s time to start thinking about mountain biking, hiking, disc golf, concerts, and summer fun. Nordic Valley hosts The Spartan Race each August, an all day event pitting mere humans against a grueling trail run, intermingled with challenging obstacles. The resort also offers a summertime waterslide for all ages. The guiding philosophy at Alta has been to provide a high quality skiing adventure for a competitive price. Alta has received accolades as an authentic and genuine experience for skiers only. Snowbaording is not permitted at the resort, which is one of three remaining areas in the United States to be a skier’s only mountain. The snow quality and overall satisfaction are consistently ranked at the top of Ski Magazine’s Reader Resort. Alta, along with Snowbird Ski and Summer Resort, proudly celebrate creating America’s first lift-served interconnect in 2001. 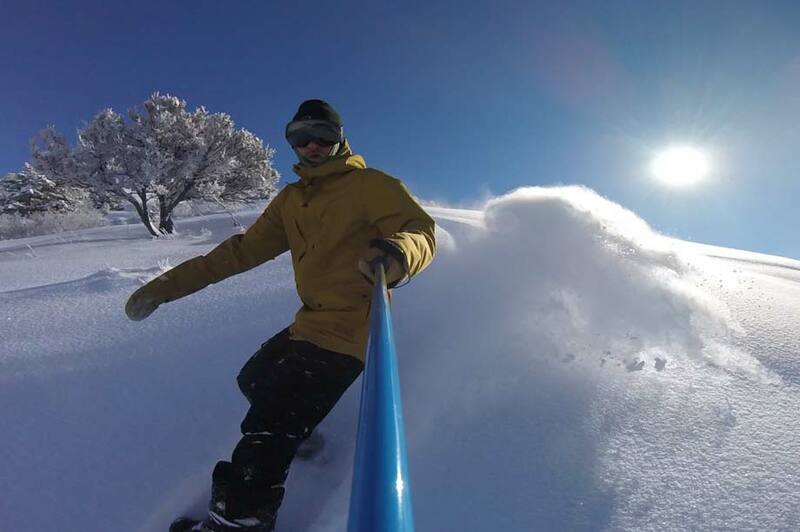 Come and enjoy the excitement of the AltaSnowbird experience. With the AltaSnowbird “one ticket” skiers have access to 4700 acres. A perfect spot for seeing the gorgeous morning rays through the trees, Beaver Mountain offers 828 skiable acres. The resort contains well-maintained open slopes with a northeastern exposure. This northern Utah ski haven opened in 1939 and is located near the summit of Logan Canyon in the Bear River Mountains. One of Utah’s best kept secrets, this resort is smaller and less developed than a many other ski resorts. “The Beav” is very popular with residents of nearby Logan, Utah State University, the surrounding Cache Valley and the Bear Lake region. 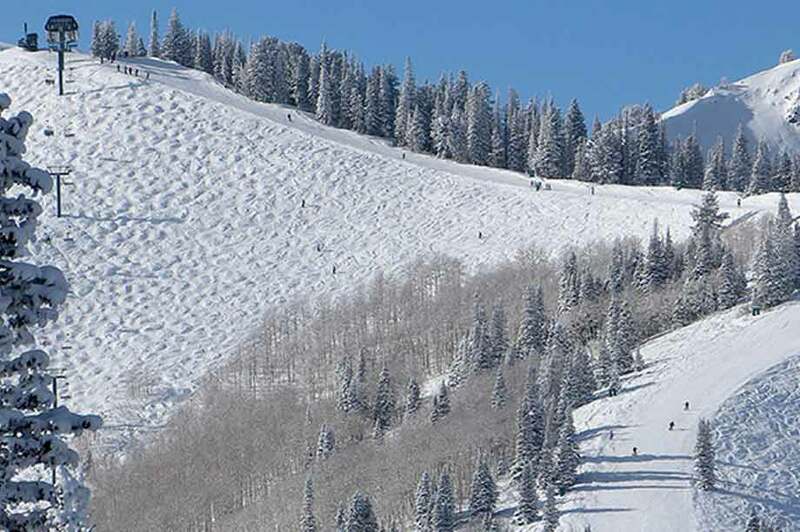 Since it does not currently employ snowmaking equipment, the ski area is dependent upon the ample natural snowfall, and therefore often opens several weeks later than most other resorts in Utah. “The Beav” is located 27 miles (43 km) northeast of Logan, just a mile (1.6 km) off of US-89, the Logan Canyon Scenic Byway, a national scenic byway. The Idaho border (42nd parallel) is less than 3 miles (5 km) north. 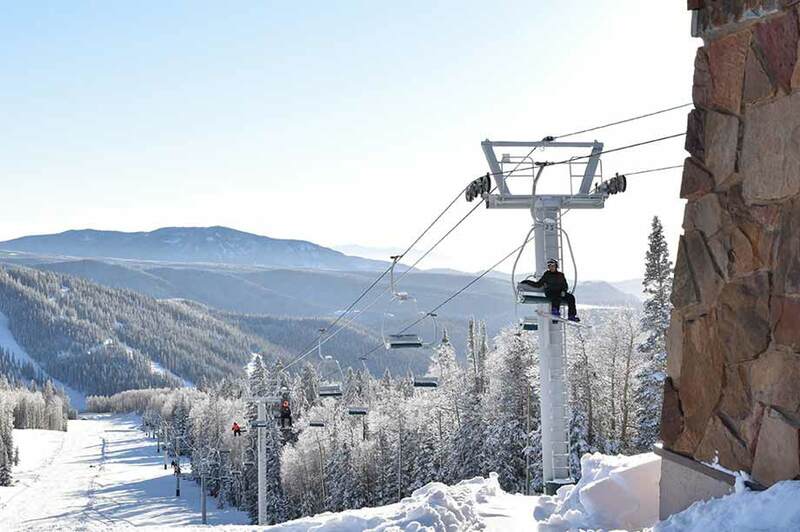 Brian Head provides an average annual snowfall of 360 inches and 650 acres of beautiful terrain. This southern Utah resort is a short three-hour drive from Las Vegas on I-15. The snowy playground is also about three hours from the Wasatch Front and offers some of the most unforgettable skiing. In addition to Brian Head Resort’s 71 runs and three terrain parks spread over two mountains, there are plenty of additional winter amenities and activities in the area including snow tubing, cross-country skiing, snowmobiling, and snowshoeing. 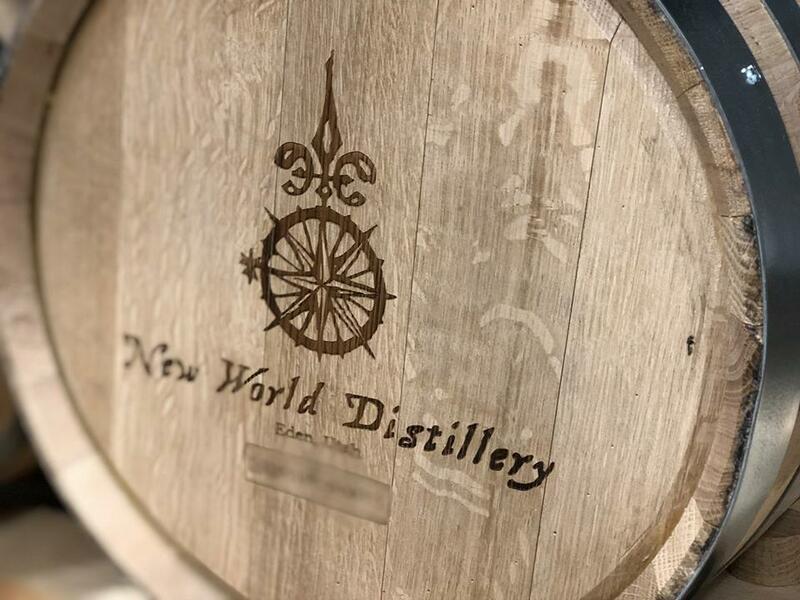 Not to mention its proximity to nearby Zion or Bryce Canyon National Parks, which offers a stark contrast to the white snow with their towering red rock peaks and miles of rock towers . Brighton is the only resort in Utah that can boast 100% of its terrain is accessible by high speed quads. There are five high speed quads, one triple and a magic carpet service. 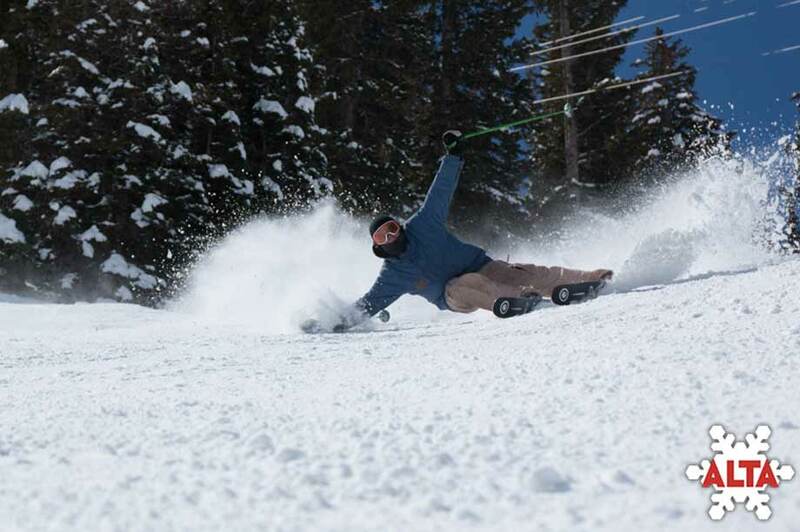 Brighton offers 1,050 acres of skiing for all abilities and 1,875 vertical feet of incredible Utah snow. Other amenities include The New Millicent Chalet, three additional day lodges, high quality rentals, top notch ski and snowboard school, lockers, cafeterias, a pub, frequent public bus transportation from many points in downtown Salt Lake City and park & ride lots around the valley. What’s more, kids 10 and under ski and ride free. Located above Richmond in the Bear River Mountains, Cherry Peak first opened for skiing during the 2015/2016 season. 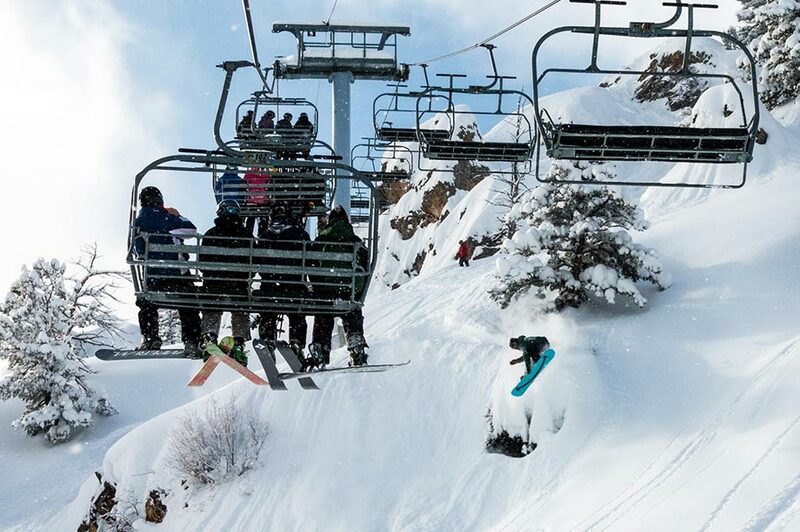 This resort is smaller and less developed than most other Utah ski resorts, but is low-cost and friendly, making it popular with residents of nearby Logan, Utah State University, Cache Valley. The resort utilizes some snowmaking equipment as needed. Facilities include a day lodge, a full service ski rental and retail shop, ski instructors and plenty of hometown flavor. The lodge also includes a with grill restaurant, which is open during the summer. Over 35 years ago, Deer Valley Resort revolutionized the ski industry in their efforts to make to provide the first-class service one would expect at a five-star hotel. The excellent service earned them the votes as the number one ski resort in North America in 2018 by readers of SKI Magazine. Luxurious amenities such as slopes that are groomed to perfection, ski valets, on-site child care and gourmet dining in three elegant day lodges raise the bar in the ski industry. Deer Valley also offers customized lodging with resort managed condominiums and private homes. They also provide an award-winning ski school and an average of 300 annual inches of powder snow backed up by state-of-the-art snowmaking. Deer Valley provides comfortable practicality in the little indulgences that turn a “trip” into an unforgettable ski vacation experience. To ensure a pleasurable skiing experience and shorter lift lines, the resort limits the amount of skiers to a certain capacity. A venue for the 2002 Olympic Winter Games, Deer Valley still hosts the FIS Freestyle Ski World Cup. 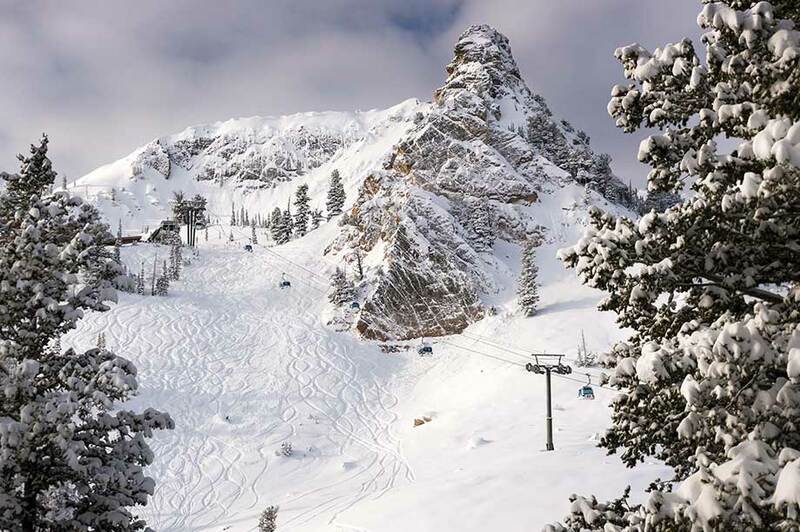 A dynamic mix of beginner to expert terrain, Eagle Point Resort in Beaver, Utah offers a stunning alpine backdrop. You can’t help but kick back and bath yourself in the sights and sounds the surrounding natural environment provides. 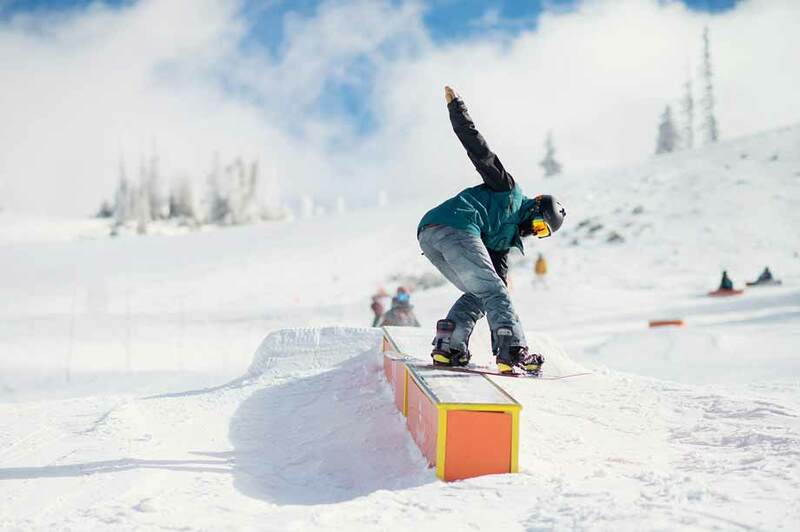 Eagle Point Resort offers plenty of backcountry opportunities and the 435 terrain park. 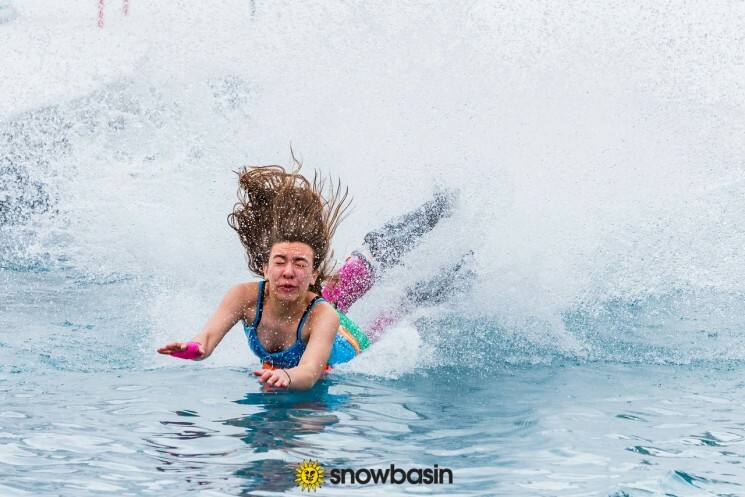 The mountain receives an average of 450 inches of annual snowfall on 40 runs and 600+ acres. The two day lodges with dining, a European-style mountain top warming area, retail and rentals, and a learning center will ensure an enjoyable experience for all. The resort also boasts two completely-renovated lodges and a brand new warming station called The Lookout. Just three hours north of Las Vegas and three hours south of Salt Lake City, Eagle Point is an obvious choice for a combination of great skiing/riding. 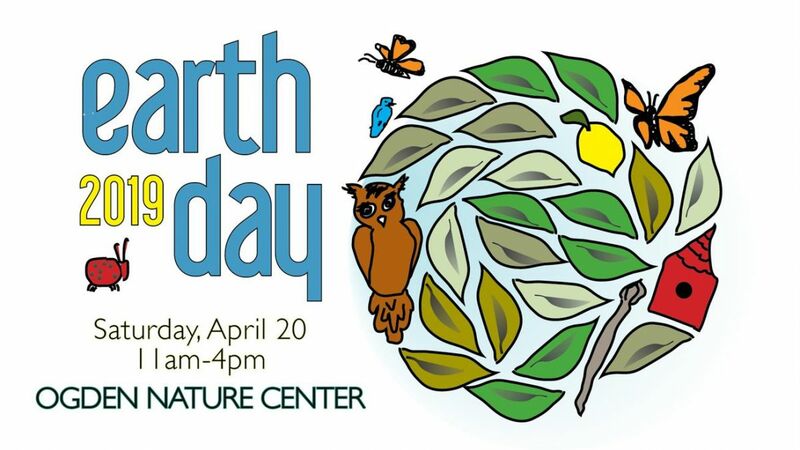 There is also access to National Park adventures at Bryce Canyon or Zions. The Canyons Resort and Park City Mountain Resort recently merged by way of a $50 million capital improvement plan. This created one of the largest single ski resorts in the United States. At the top of the list of improvements is the new Quicksilver Gondola connecting Park City to the former Canyons Resort a whooping eight passengers at a time. Some other improvements include a brand new restaurant called Miners Camp, improved snowmaking on Iron Mountain, a new six pack King Con Express lift and Motherlode Express quad. 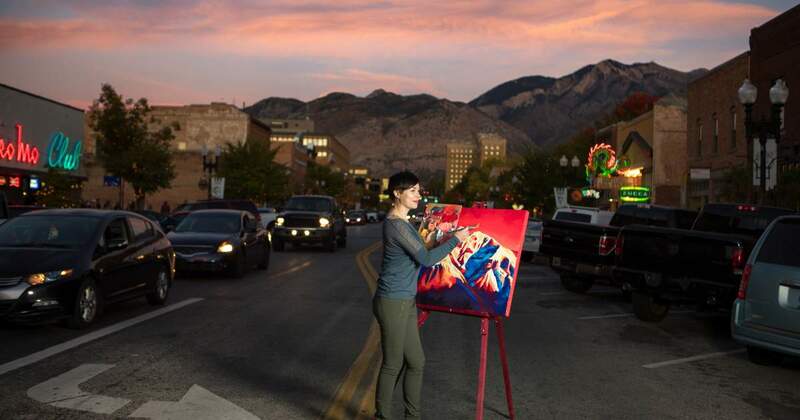 A world-class mountain destination, Park City roots grew from a historic western mining town. Skiers may access the 7,300 skiable acres directly from the historic Main Street from the Town Lift or from the usual base areas, offering 41 lifts, 300+ trails, 14 bowls, 17 mountain peaks and 8 terrain parks. Park City offers a variety of choices for great food and drink both on the mountain and off. While skiing or riding at Park City, try lunch at Lookout Cabin, a sit-down table-served lunch with spectacular views of the Wasatch Range. Or, ski into Miners Camp restaurant located at the base of the Quicksilver Interconnect Gondola. 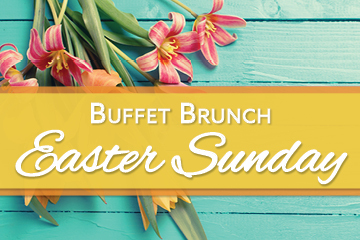 Finish your day with an elegant meal at The Farm restaurant located in the lobby level of the Grand Summit Resort Hotel. Winter activities go beyond skiing and riding through Snowbird’s 2,500 acres. Take a ride on the wild side and explore the backcountry via heli-skiing, snowcat skiing, and snowmobile tours. 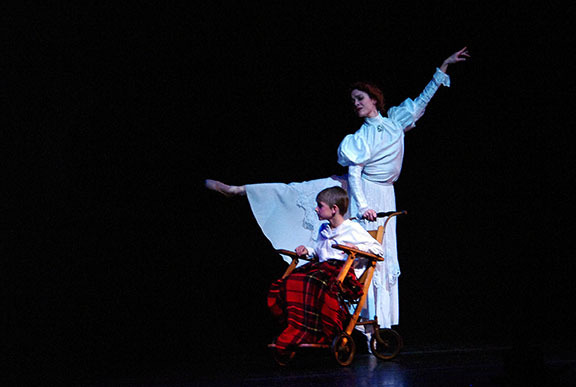 Or, slow down and experience The Bird on snowshoes. But skiing isn’t the only thing ranking high by visitors of this world-class resort. Snowbird provides an equally impressive experience off the slopes, resulting in ski vacations as memorable as the mountain. Four lodges conveniently tucked away in the resort’s pedestrian village provide guests with easy access to the facilities. Among the amenities are heated outdoor pools and hot tubs at the lodges, a relaxing spa, and over 15 restaurants and eateries. The resort’s dining options create unforgettable meals and offer an experience among the majestic peaks of the Wasatch Front. 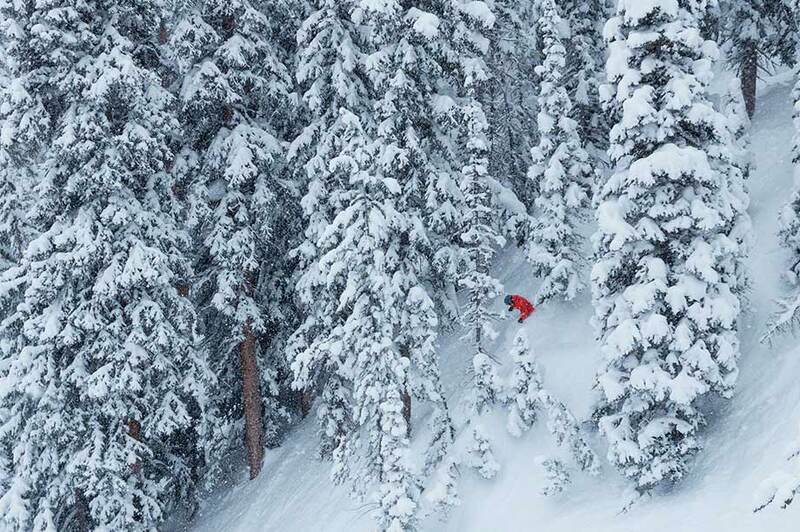 Offering terrain for all skiers and riders, Solitude Mountain Resort consistently provides ample snowfall on its 77 runs, three bowls, and some of the most impressive back country terrain in the country. While exploring the resort’s short lift lines and 1,200 acres of pristine terrain snow lovers may indeed find their own solitude. For those looking to improve their skills or learn a new discipline, the Snowsports Academy provides lessons and clinics for all interested guests. The Nordic Center offers options for non-downhill skiers or snowboarders to try Nordic skiing or snowshoeing. Solitude also provides state-licensed daycare for children from 2 months to 12 years of age. Sundance Mountain Resort emanates a rustic simplicity graced by 5000 acres of protected wilderness tucked away beneath the majestic Mt. Timpanogos, a jagged 12,000 peak towering overhead. Winter activities include alpine skiing, snowboarding, cross country skiing, and snowshoeing. The resort also offers summertime activities such hiking, biking and horseback riding. 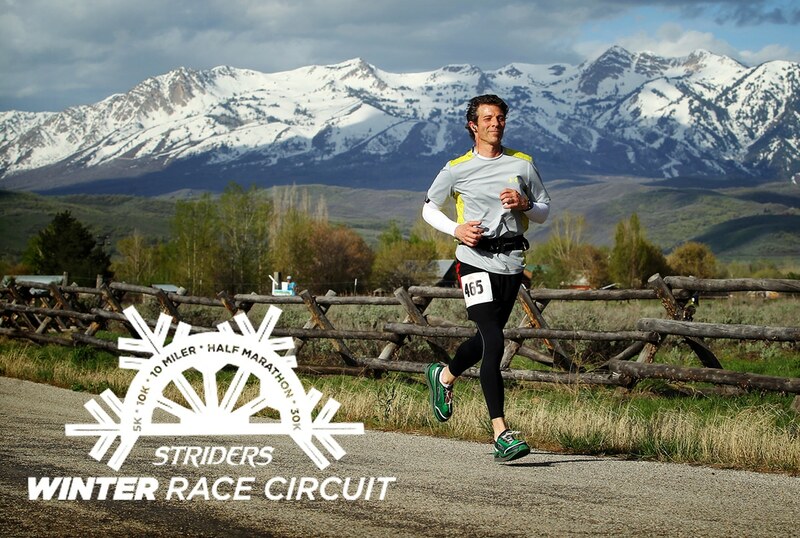 Sundance offers terrain for both beginners and experts who want to improve their performance. The PSIA/AASI certified instructors offer the Home Base Skiing techniques that make learning both fun and effective to make the most of your abilities. Sundance’s mountain cottages are discreetly tucked into the mountainside and echo the simplicity of their natural setting with rough sawn beams, stone fireplaces or wood stoves. Guests may choose to stay in a mountain suite, Sundance suite, studio or standard room. There are also rental homes available. Created by Robert Redford, Sundance is a haven for discovery and inspiration that offers diverse mountain recreation experiences year round. It’s a world-class destination resort that offers guests a sense of community and home. It’s intimate surroundings, understated elegance, and relaxed atmosphere create the perfect mountain escape.